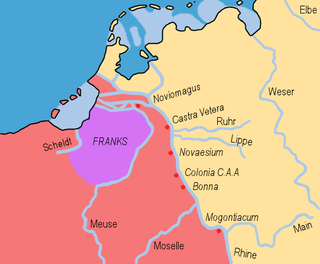 The Frankish campaign against the Thuringians took place around 491 AD and resulted in a defeat for the Thuringians. 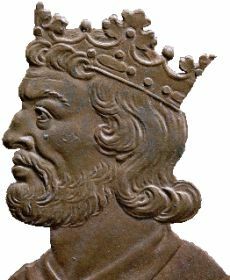 Five years after the Frankish king, Clovis I, ascended to the throne, he set about extending his influence over, not just over other Frankish kingdoms, but also over other Germanic tribes, including the Alemanni and Thuringians. 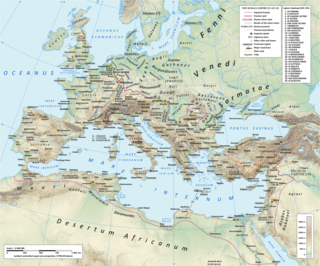 In 486, Clovis advanced deep into Gaul with other Salian kings, and attached and defeated their last Roman ruler, Syagrius, at Soissons in 486. 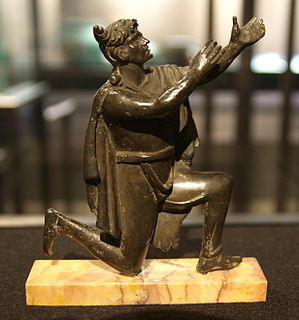 Thereafter he embarked on a campaign against the Burgundians, before turning on the Thuringians. Gregory of Tours records that, in 491, Clovis "conquered a group of Thuringians" in the area of the modern-day state of Hesse. This tribe, whose heartland was further east, was based in eastern Gaul north of the Burgundians and bounded to the north by Frisia, to the south by Alemannia and to the east by the River Weser, on the far side of which was part of Saxony. 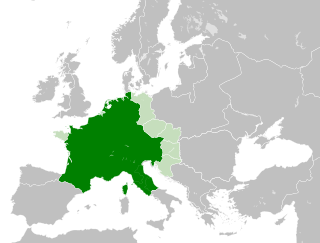 The territory of this particular Thuringian group was absorbed into the Frankish kingdom. However, the main region of the Thuringians was not conquered until 531 when Clovis's sons, Chlotar I and Theudebert I, subjected them. ^ Cusack (1998), p. 69. ^ a b Forrest, Evans and Gibbons (2012), p. 71. ^ Commire (1994), p. 274. ^ Blunsom (2013), p. 151. ^ a b Bachrach (2001), p. 5. ^ White (1971), p. 24.